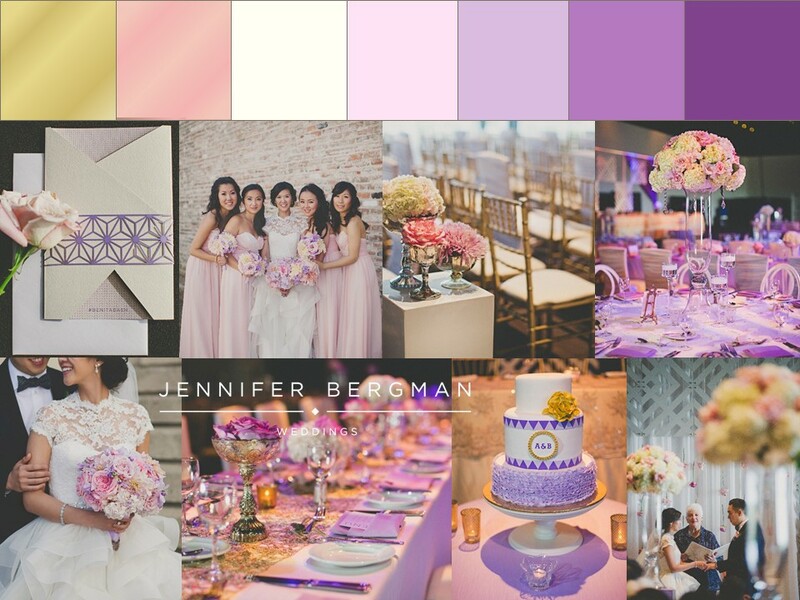 Anita + Ben’s wedding design blended a romantic colour palette with modern geometric shapes. Beginning with their invitations, we worked with Pinkpolka to develop patterns that had an edgy, unique look while using materials and colours that were timeless and romantic. This inspired us to tie the geometric shapes into their ceremony and head table backdrops, a custom DJ booth, as well as the wedding cake. 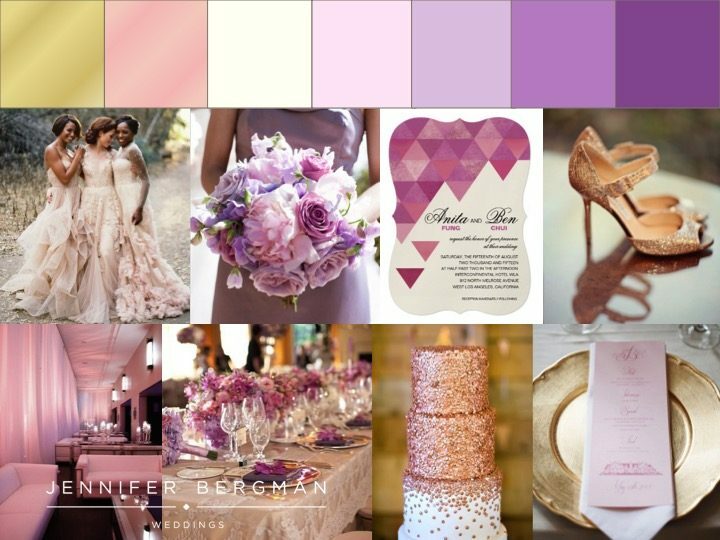 Photo Credits (clockwise from top left): Blush Ruffled Bridesmaid Dresses – Style Me Pretty; Lavender Bouquet – Loverly; Geometric Wedding Invitation – Zazzle; Rose Gold Wedding Shoes – Intimate Weddings; Gold Charger Plate – Style Me Pretty; Rose Gold Sparkle Wedding Cake – Wedding Chicks; Romantic Tablescape – HWTM; Modern Blush Lounge – The Knot. In the next post we’ll share more behind this design, as well as some beautiful images of Anita + Ben’s Shaw Conference Centre wedding! Tess + James’ vision for their Lake Louise destination wedding was an intimate celebration full of warmth and romance. With nods of Tuscan influence, an abundance of lush, organic florals in tones of blush, pink, peach and crimson covered the tables, while gold candelabras and candlesticks added formality and glamour to the elegant Victoria Ballroom. 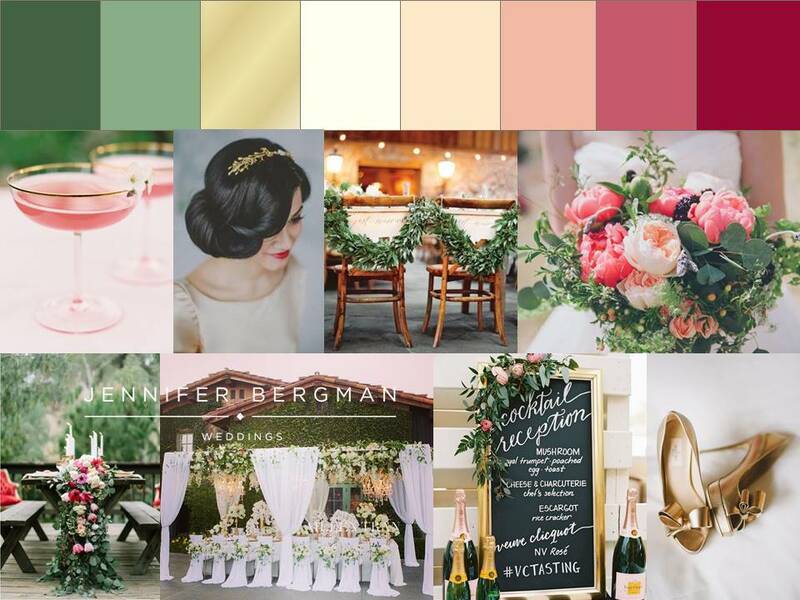 Photo Credits (clockwise from top left): Pink Signature Drink – New Orleans Wedding Planner; Bridal Hairstyle Gold Hair Accessory – Lauren Conrad; Bride and Groom Chair Garland – Martha Stewart Weddings; Pink Peony Bouquet – Green Wedding Shoes; Gold Wedding Shoes – Style Me Pretty; Chalkboard Menu – Laura Hooper Calligraphy; Canopy Over Head Table – Aileen Tran; Floral and Greenery Table Runner – Southern California Bride. 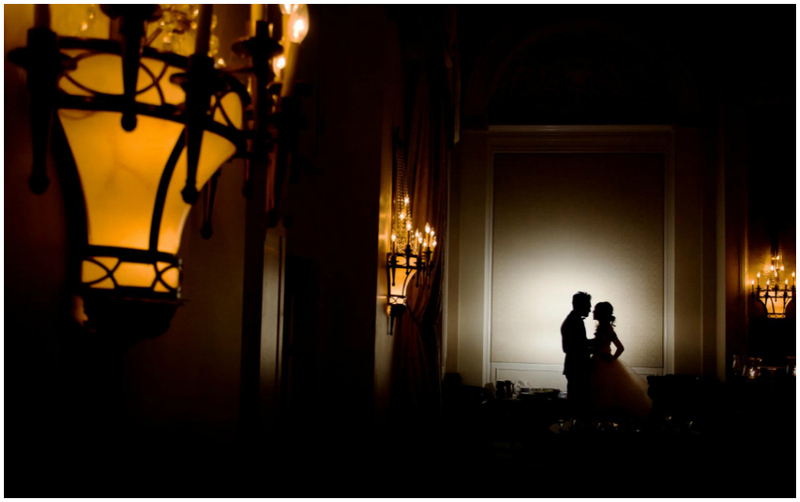 Stay tuned for more of Tess + James’ Fairmont Chateau Lake Louise wedding! 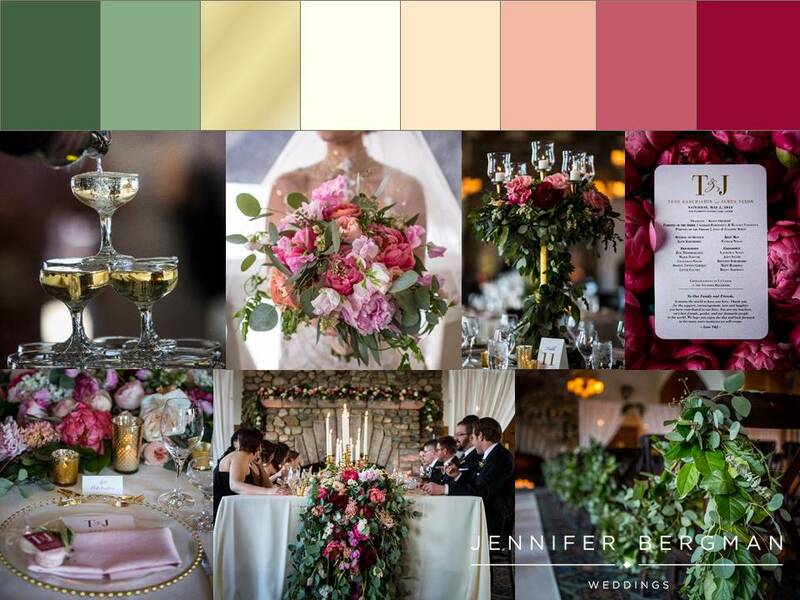 A lot goes into the wedding design process at JBW. 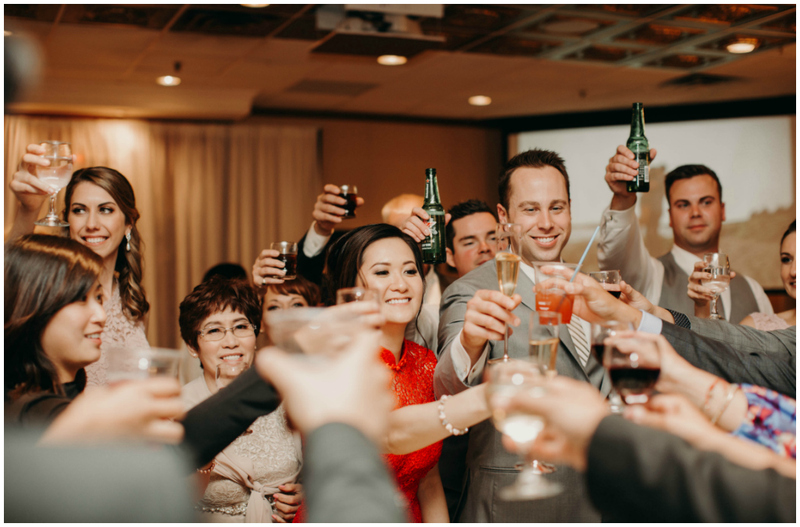 We begin by determining a bride and groom’s wedding style – the look they envision, the atmosphere they want their event to evoke, the level of formality. We then create visual inspiration boards and detailed design plans. 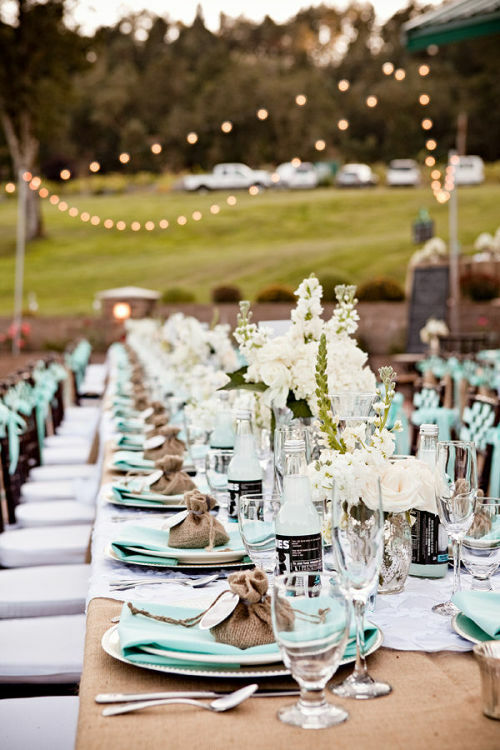 Once we’re all on the same page, we execute, securing rental and décor items, collaborating with a florist to design centrepieces and bouquets, and working with a stationer to create the couple’s invitations and stationery to perfectly reflect their wedding style. 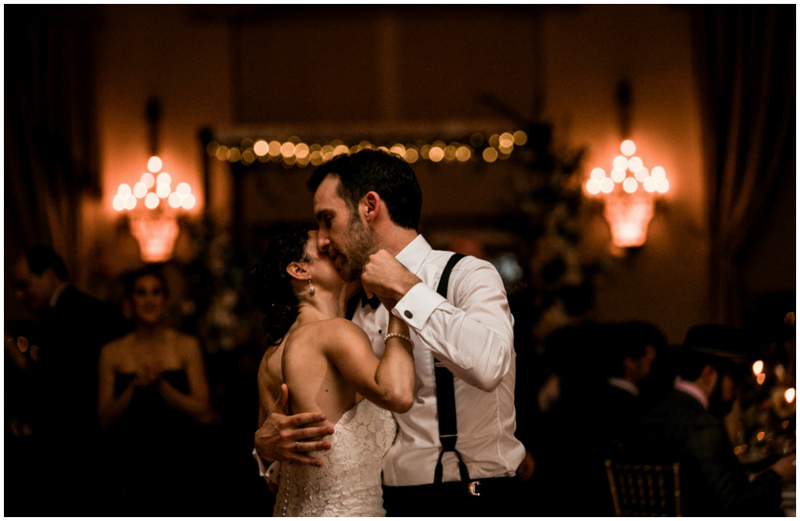 We’re excited to share some of our 2014 weddings along with the design boards behind them so you can get a glimpse at how we take inspiration and make it reality! Julie + Kyle wanted their rustic, summer wedding to reflect her carefree spirit and Kyle’s love of the outdoors. 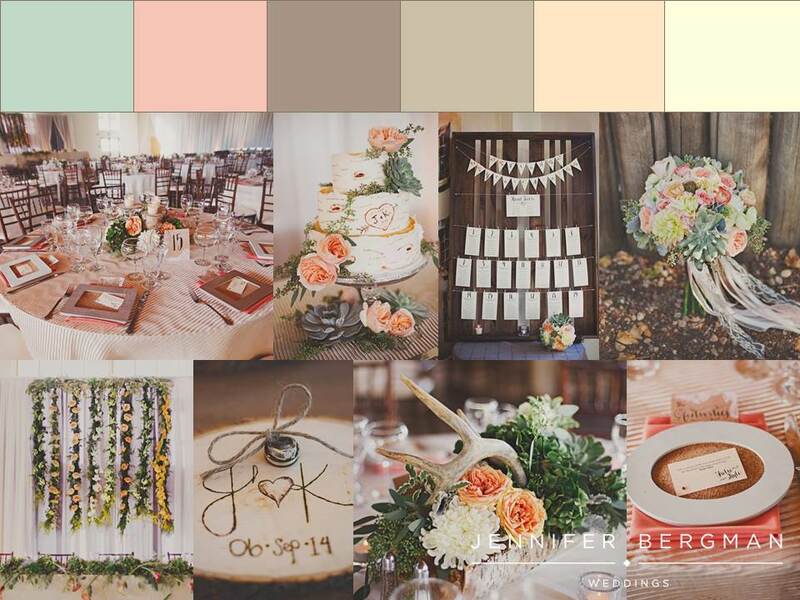 We designed the soirée around a soft, muted palette of creams and taupes with whimsical touches of mint and peach. Woodland accents including antlers and birch stumps brought the outdoors in to the Hangar at Fort Edmonton Park. 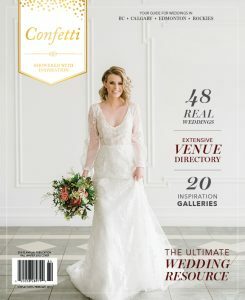 This delightful Edmonton wedding was also recently published in Blush Magazine (available for purchase online or at Chapters / Indigo)! 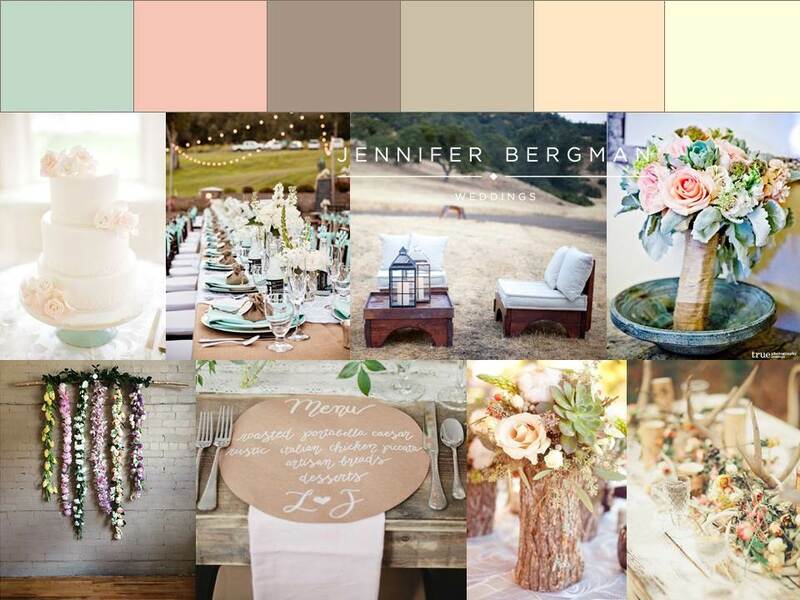 Photo Credits (clockwise from top left): White Wedding Cake – Borrowed and Blue; Outdoor Wedding Reception – Tumblr; Rustic Wood Lounge – Southern Weddings; Whimsical Bouquet – True Photography; Antler Tablescape – Green Wedding Shoes; Tree Stump Centerpiece – Style Me Pretty; Kraft Circle Menu – Project Wedding; Flower Garland Ceremony Backdrop – Katch Studios. 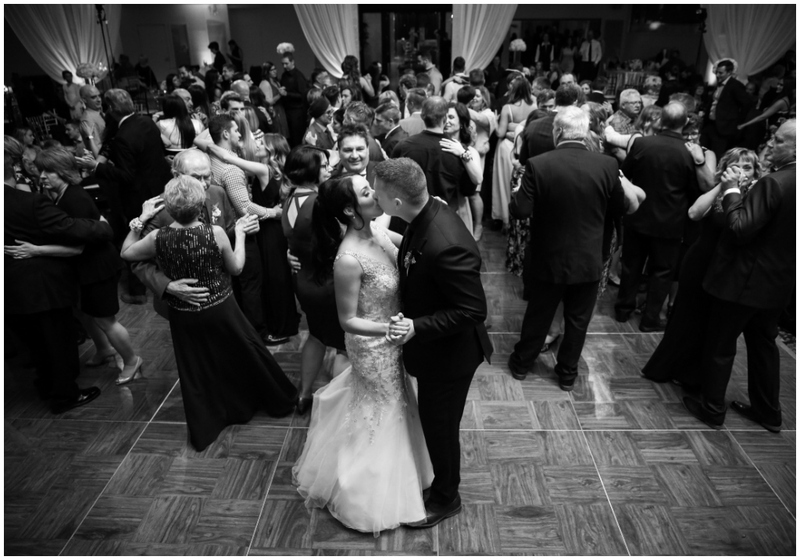 Check back soon to see more of Julie + Kyle’s Fort Edmonton Park Hangar wedding!